WIC plays a key role in helping families recover from disasters. In the wake of Hurricane Florence, USDA has issued increased flexibilities to impacted areas, including the ability for states to replace lost and damaged benefits. In North Carolina, USDA Food and Nutrition Service has approved flexibility in issuing benefits remotely and waiving some nutrition-education requirements in places where clinics are not open. The state is also replacing lost or damaged food benefits. More information on the FNS flexibilities in North Carolina can be found here. 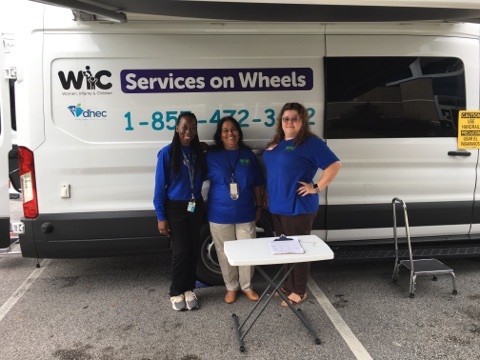 South Carolina has utilized mobile WIC clinics to provide services to hard-to-reach families following the disaster. (Read more about South Carolina’s response.) USDA provided guidance this year that the state WIC office incorporated into its state disaster plan. The guidance allows the state to replace lost food instruments or lost foods during the month of the disaster. NWA stands ready to assist any WIC agency experiencing difficulty following a disaster. Following Hurricane Maria, NWA successfully advocated for $14 million in supplemental disaster appropriations for impacted WIC agencies in Puerto Rico and the US Virgin Islands. Please contact Ali Hard at ahard@nwica.org if you need assistance from NWA following a disaster. 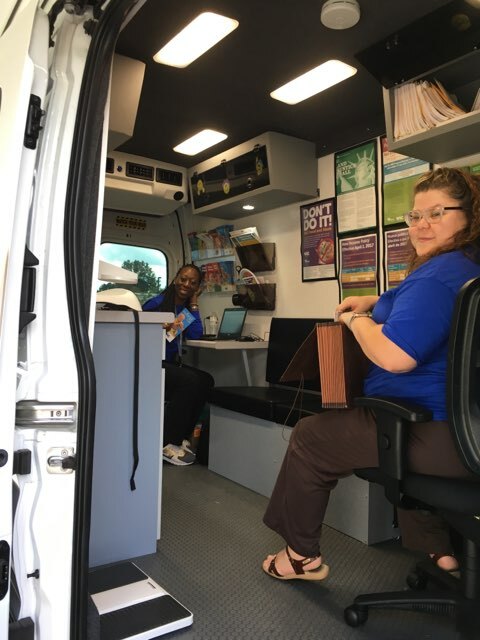 Photos below: Staff of South Carolina’s Department of Health & Environmental Control, Division of WIC Services operate its WIC mobile units, which allow them to serve communities impacted by flooding from Hurricane Florence.